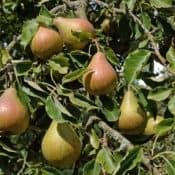 The workhorse of the orchard, European (or common) pears are valued for their especially high yields, delicious juicy flavor, reliable disease resistance and low-maintenance needs. 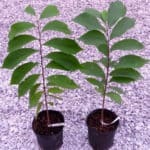 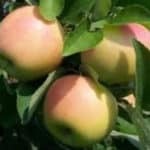 They make an excellent addition to any orchard and fit well into backyard and urban plantings. 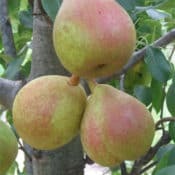 They are easier to grow than apples. 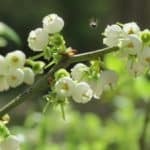 They do need pollination from a different variety in order to set a good crop. 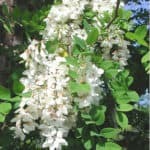 The commonly planted ornamental, non-edible Bradford pear growing everywhere could serve as a good pollinator. 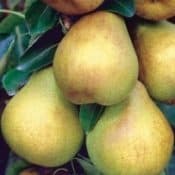 The most important thing you can do when growing pears is: DON’T GIVE THEM ANY NITROGEN FERTILIZER, ESPECIALLY 10-10-10. 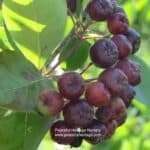 They just don’t need it, and it makes them prone to getting fireblight and die! 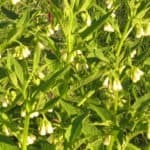 A little organic nitrogen the first year or two is fine, then back off! 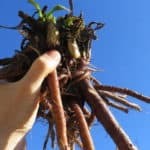 If your soil is very poor, then just go very, very easy with it. 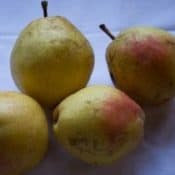 Pears thrive on neglect better than micro-management. 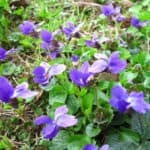 Although they are generally hardy and resilient, it is important to plant the correct varieties for your area. 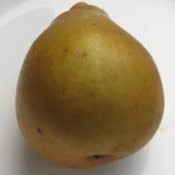 For instance, the very popular grocery-store Bartlett pear does not perform very well in the humid southeast or mid-west. 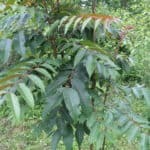 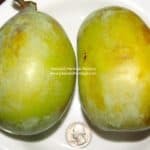 Fruit quality is lower than expected and Bartlett trees often get diseased and do not yield good crops, and entire trees usually die of fire blight within a few years. 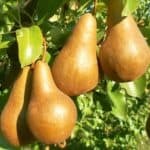 For that reason you need to plant pear cultivars adapted to your region. 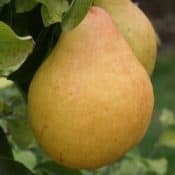 Some of the pear varieties we offer may be unfamiliar to you, but they have all been carefully selected as tried and true, high-quality, abundantly productive and disease-resistant varieties for growing in a humid, hot climate (Eastern and Southeastern USA). 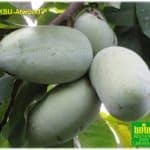 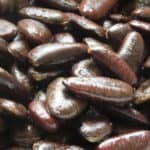 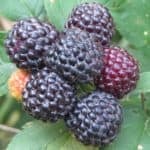 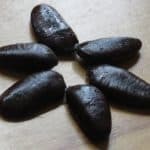 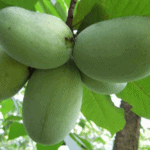 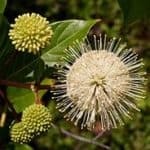 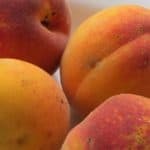 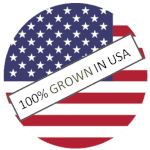 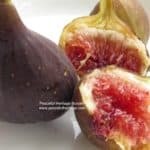 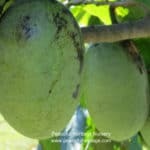 They will have excellent fruit quality and will perform much better for you than many other varieties that are more familiar by name and commonly seen at the grocery store. 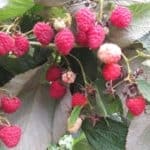 This is a “little secret” to successfully growing your own fruit at home. 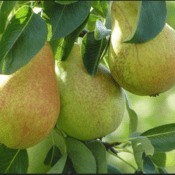 Honeysweet Pear – Coming back in Autumn 2019!